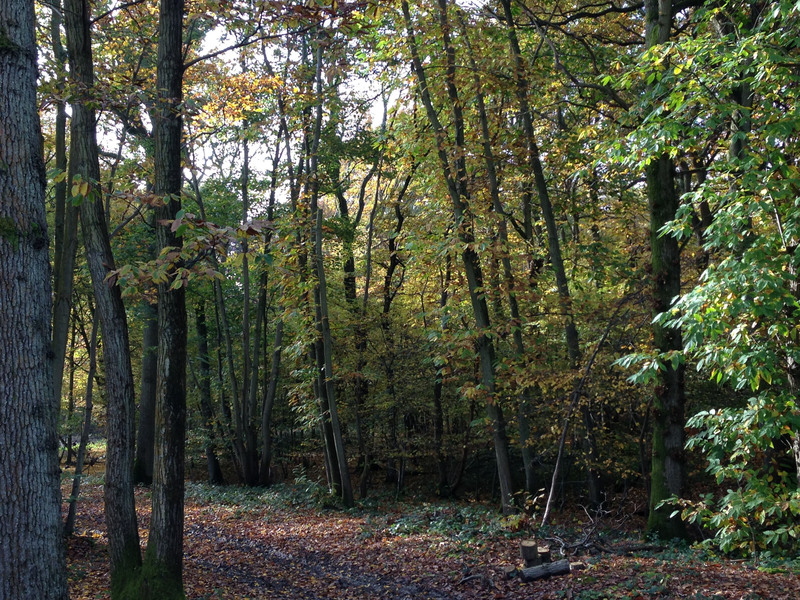 We had an interesting enquiry in March 2016 from a couple who had recently bought a small 10 ½ acre woodland in Kent, purely for non-commercial purposes - for camping, recreation and a source of firewood for their domestic use. They had been doing smaller tasks (taking down / cutting up fallen trees, tidying the site etc. ); but wanted to consolidate their understanding and improve their skills around maintaining and managing the plot on an ongoing basis. Due to full-time work commitments, 1:1 / 1:2 days were discussed. These would be held on their site. An initial day was booked for Scott to visit the site, gain an overview of their site in order to develop a management plan and plan a training bespoke programme that was suitable for them. Chainsaws are used to fell trees/ process firewood, as this is a much more efficient and accurate method. However as the clients had expressed that they weren’t particularly interested in this as a tool, we showed them a Stihl electric chainsaw. We have used these in certain situations for a number of years now and they have proved popular, particularly with our domestic clients. Following sessions have included tree climbing – both for the adults and their children. Initially these sessions have been held on our site, due to the range of trees we could provide. It is a real pleasure to work with these clients, helping them acquire new skills to develop, maintain and most importantly enjoy their woodland.